I went by the Trainshop yesterday and picked up a piece of code 40 N-scale flextrack. That is some fine rail. Just right for the dinky cart tracks in the coaling bunker. 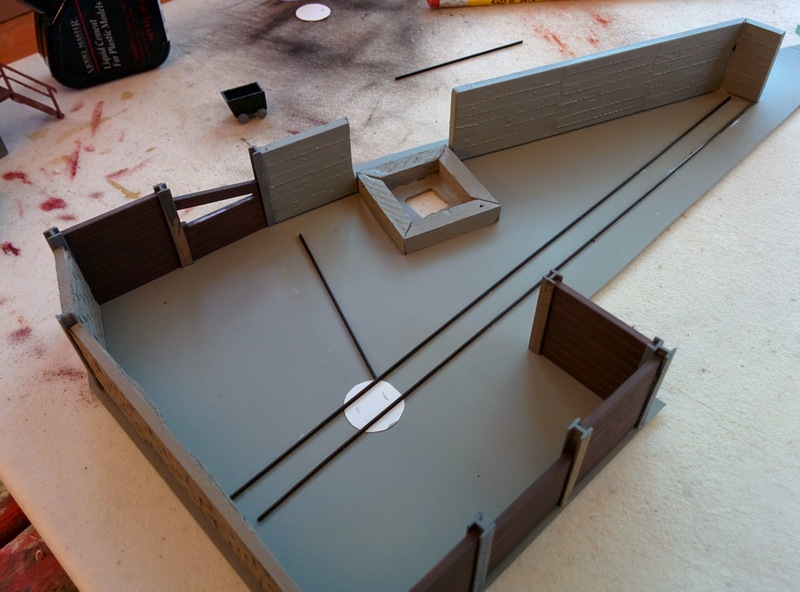 Since the coaling carts don't fit on N gauge track, I removed the ties and superglued the rails straight to the bunker base. There's also small turntable to move the carts between the tracks. 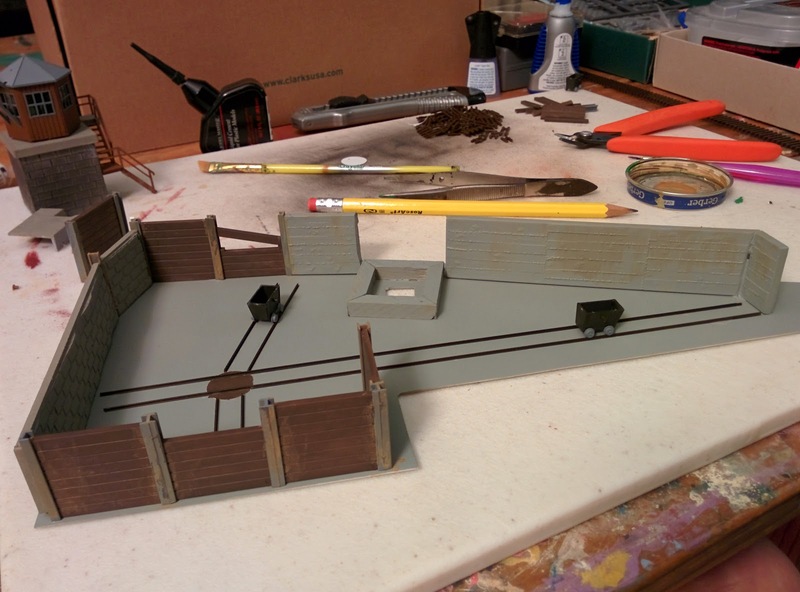 I started weathering the walls and pilings.